Edie here. Today you are in for a treat! 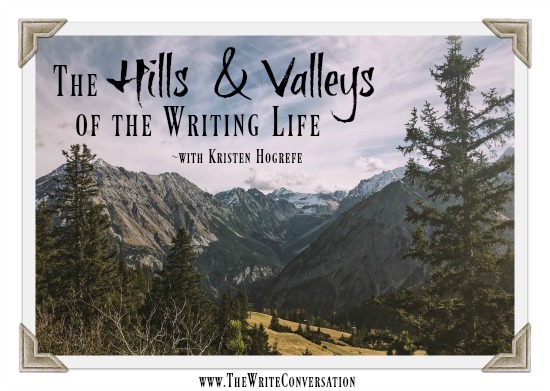 One of my all-time favorite YA authors has agreed to share some of the things she's learned while traveling this writing road. She also has a new book, The Revisionary (don't you LOVE the title!) and I've shared all the information about it after the post. Please give her a warm TWC welcome! Driving home during one of my Sunshine State’s summer downpours, I heard Tauren Wells’ “Hills and Valleys” on the radio. How well those lyrics fit the writer’s life! 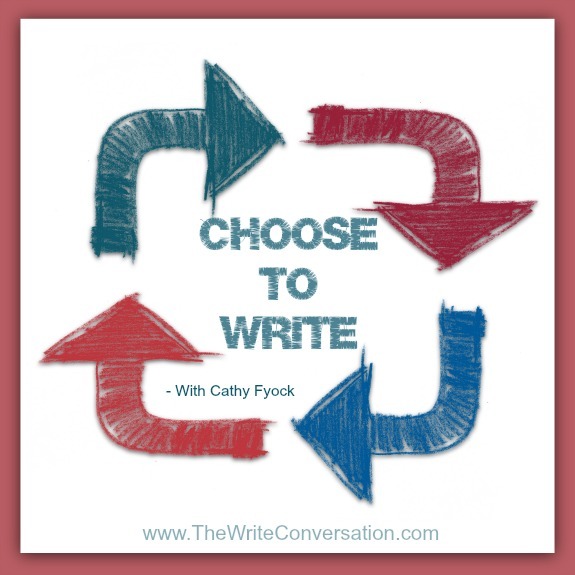 Our writing journeys are often a series of highs and lows. I love seeing the wide-eyed excitement when my writer friends post that they’ve signed with an agent or contracted with a publishing house. I remember the almost surreal feeling when I signed a three-book contract with Write Integrity Press and celebrated with a friend over coffee. 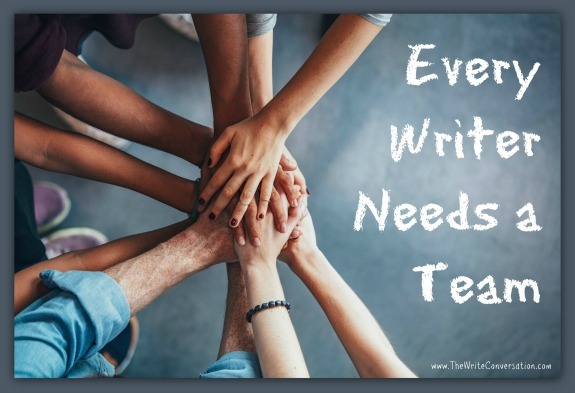 James Scott Bell recently posted a blog called Don't EverMail It In where he wrote about the attitude that we’ve reached a certain point in our writing where we don’t have to improve. What struck me most is his definition of a real writer. It’s someone who honors the craft and never settles. In this blog, I’m going to expand on a couple of his points. 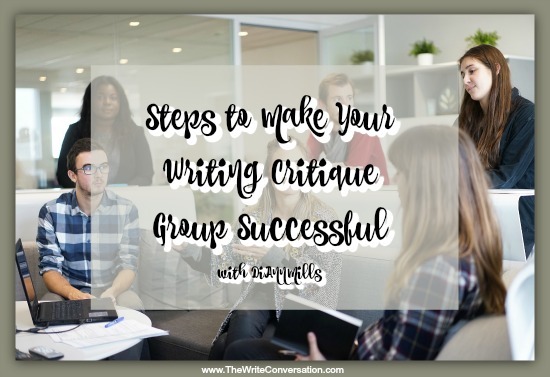 Tips for developing a healthy critique group. Critique groups can help us define our manuscripts. But finding the personality and expertise with other writers can be like searching for a new doctor. 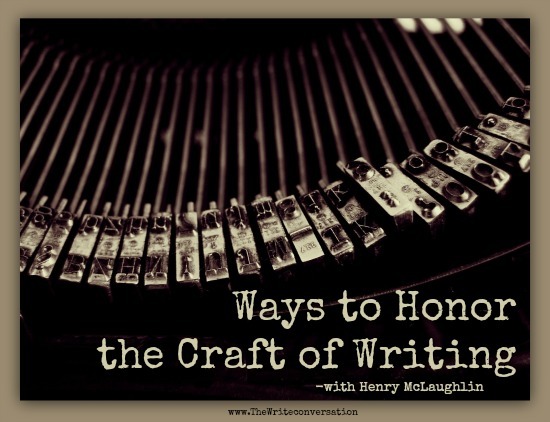 Successful writers want to develop new skills by learning from those who know the craft. 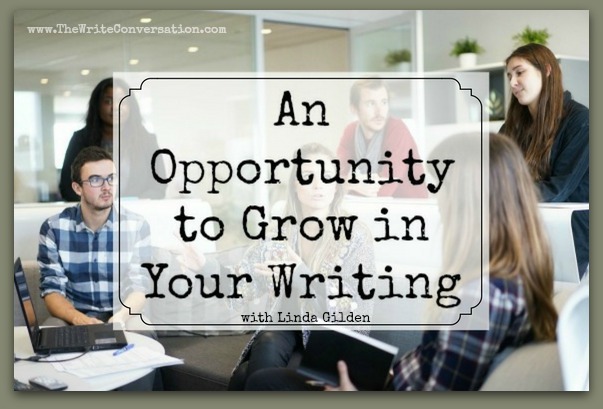 Face to face meetings offer an opportunity for the writer to reach professional goals. Meeting with a select group of writers who share the same joys and challenges inspires us to continue toward our goals. 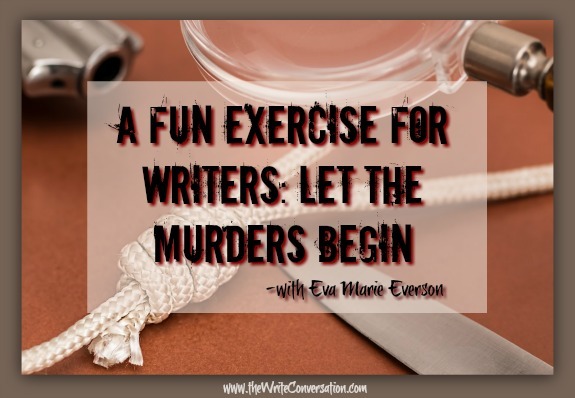 Don't miss this fun game for writers! This spring, Mignon Fogarty (Grammar Girl) posted a “Quick and Dirty” blog concerning fiction writer Marc Laidlaw and his wildly popular tweet from the week before. Don't miss these valuable online etiquette tips! It’s important to be polite but it’s easier to be bolder with your words when you’re typing them into your computer instead of saying them to someone’s face. 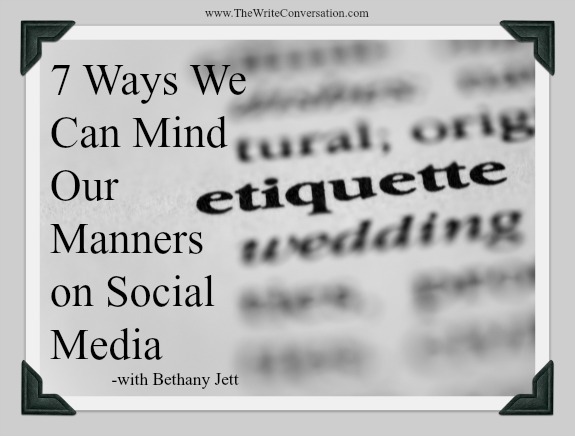 The Golden Rule of doing unto others what you would have them do unto you applies virtually, so let’s look at a few ways to mind our manners online. 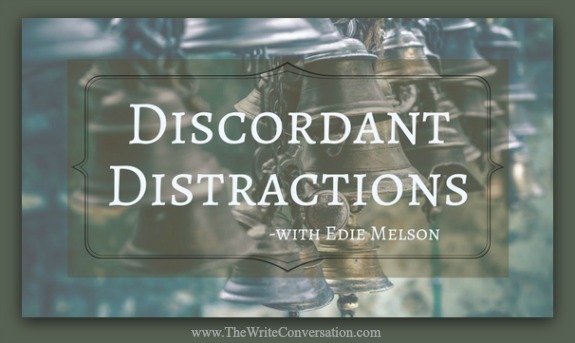 Beware becoming a discordant distraction. I love listening to praise music. It can send my soul soaring as I reconnect with the healing truth that comes only from God. It also anchors that truth in my brain in a way that few other mediums can do. When I hear truth sung, I recall it quicker when a situation arises, even when I don’t feel like singing. Tips for when you struggle against sitting down to write. 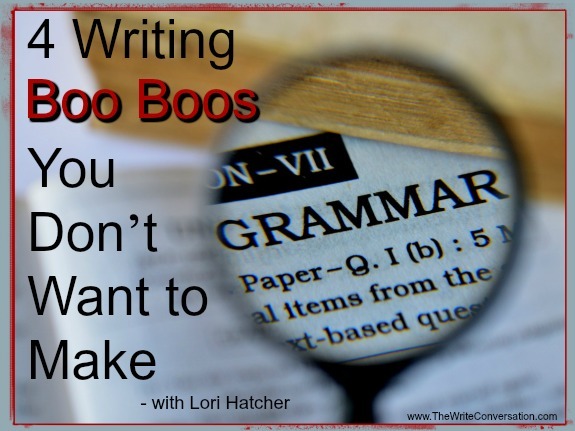 Don't make these grammar mistakes! A writer friend gave me a t-shirt to celebrate my new job as editor of a regional magazine. Its message was short and sweet: I’m silently correcting your grammar. Looking for Beta "Stranger" Readers for your manuscript. Last year, I wrote a series of short stories. 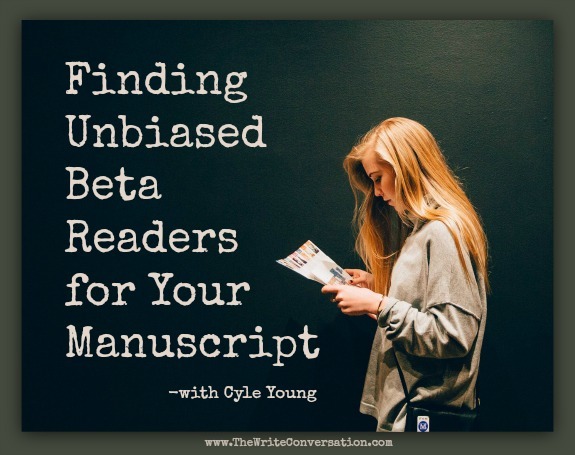 I wanted to self-publish them in order to build my newsletter mailing list, but I needed to find unbiased Beta readers who could give me “real” feedback. I didn’t want to ask my friends and family, for fear they would give me the standard pat on the back or false approval. 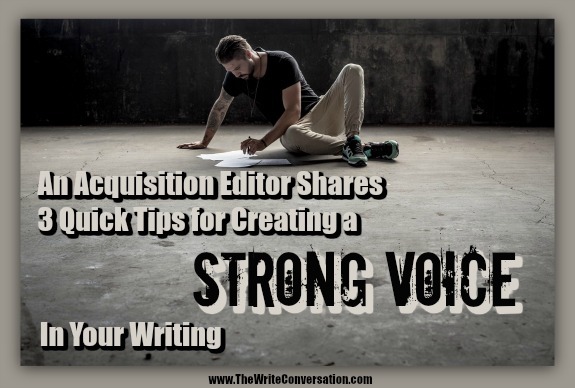 Use this valuable acronym to enhance your writing. “Wonderful” sticks to the heart as much as it does to the mind. Memories of fun-filled travels, time with family and friends, and special moments make a home within us forever. Books can do that too. Wonderful happens when a book speaks to us about a heartfelt need, when it answers a plaguing question or solves a challenging problem, when it refreshes ours spirits and reminds us that hope is alive and God is with us. 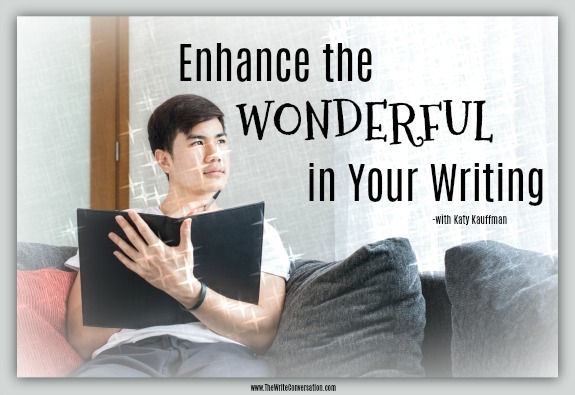 Use this acronym as a checklist to enhance the wonderful in your writing. 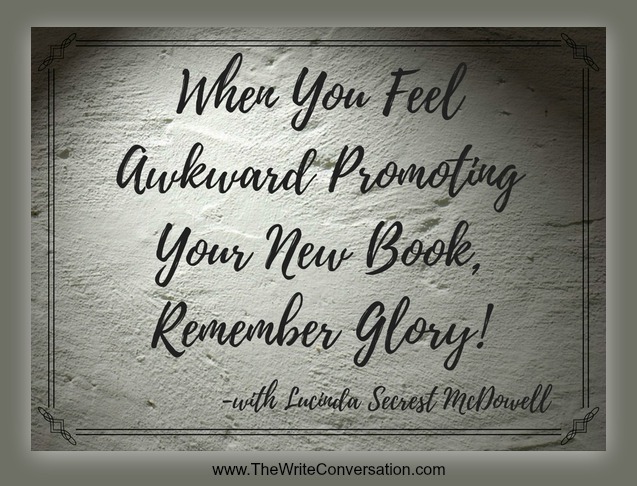 When You Feel Awkward Promoting Your New Book, Remember Glory! As you read today’s blog I am knee-deep in launching a new book. With all that entails. Including the uneasy feeling of “self-promotion” which, frankly, is a struggle for me. our words with the world and being embarrassed to keep putting ourselves out there. Blogging is a great way to build relationships with your audience. But a lot of people forget that, just like building relationship in person, we have to work at building bridges. 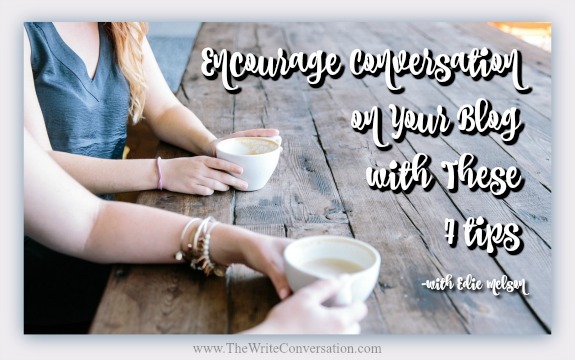 It’s never a good idea to talk so much that others don’t have a chance to share their thoughts, and that holds true in blogging. There are things we can do to make sure our posts encourage conversation. And there are things we can do that discourage interaction. You might want to read that again. It took me a couple of times. Oswald never tip-toed around the hard stuff. He always called it as he saw it. When I comprehended this sentence above, the words went straight to my human heart. Have you ever written a scene of great consequence and, suddenly, your mind takes you to an event in your distant past? A sense of place takes over. 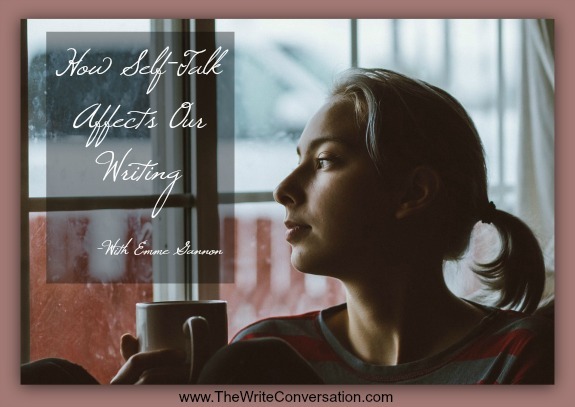 You write with fervor because you feel what your character feels. You know what she knows. You want what she wants. Except your story had never been resolved. So you try to write the story the way it should have been. While you mourn. 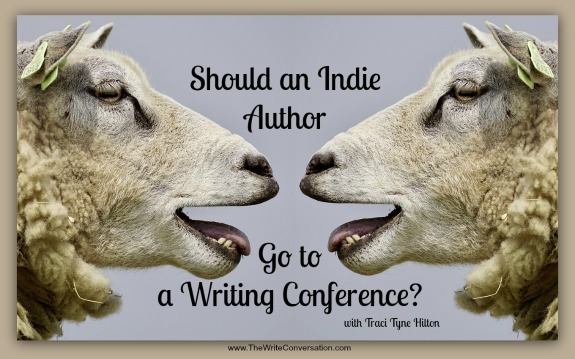 Should an Indie Author Go to a Writing Conference? 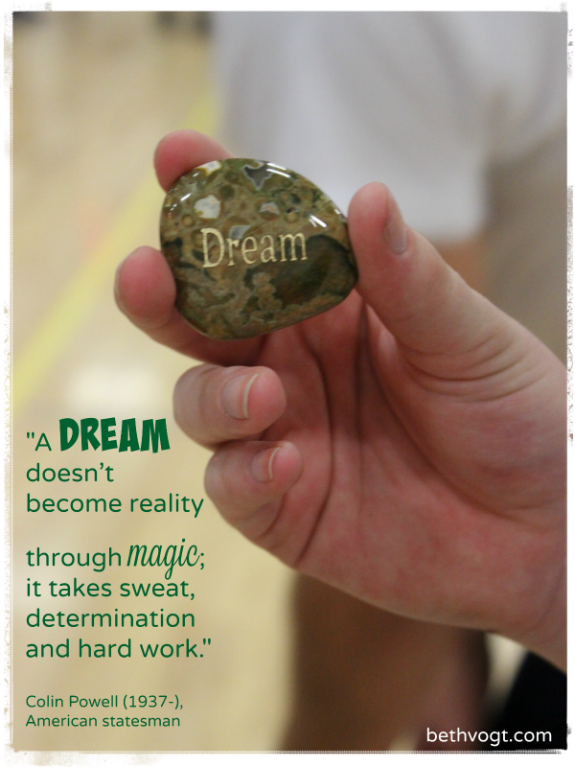 Writing classes are critical to the success of ALL writers! I just have to chuckle if anyone is still asking this question As far as I can tell the big conferences all have great big indie tracks full of expert teaching. Edie here. Today I have a treat for you. My good friend, Cathy Baker is my guest today. 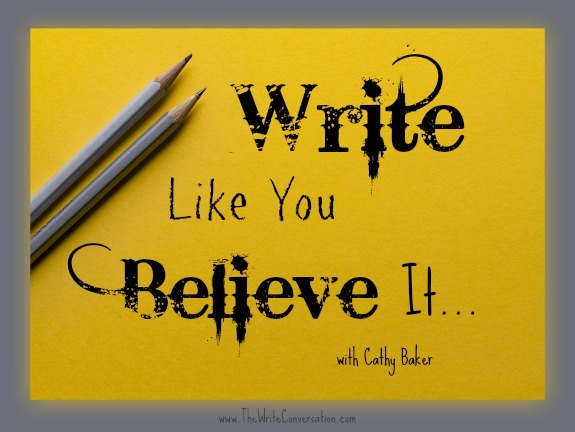 Cathy isn't just an author I admire (have you read her blog, Cultivating Creativity? If not you should!) but she's also someone with wisdom and spiritual insight to spare. 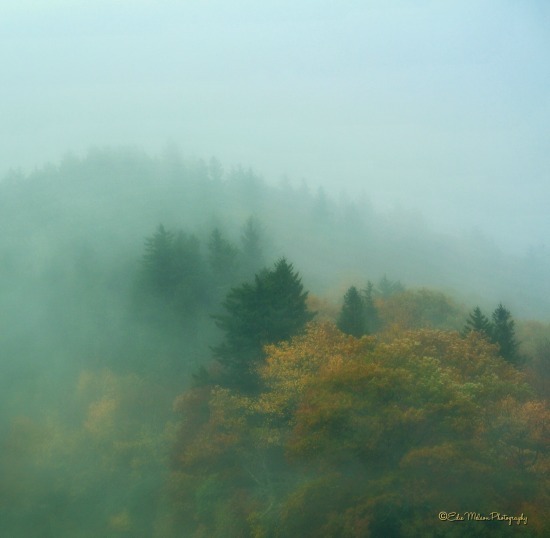 She's releasing her second devotional, Pauses for the Vacationing Soul: A Sensory-Based Devotional Guide for the Mountains, next week. This is the second in the series and I'd be super excited—even if I hadn't written the foreword for it. So be sure to give her a warm TWC welcome! Seven words changed the trajectory of my life. Have you ever wished you could sit at the feet of the writing masters and then apply what you learned with them looking over your shoulder? Well, CLASS Christian Writers Contreat can give you that opportunity. 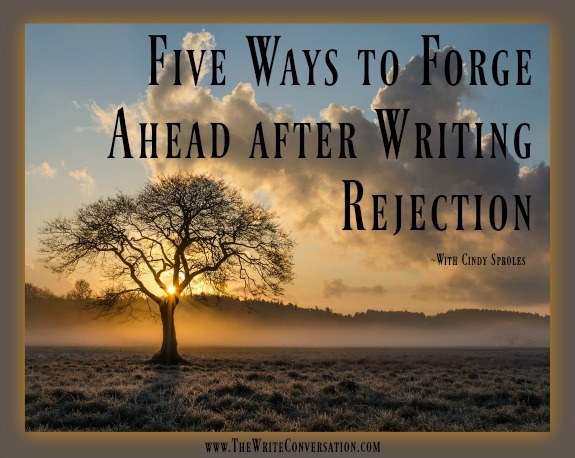 Don't let writing rejection stunt your growth as a writer. We made a tough decision—to take down a huge 40-foot elm tree damaged from lightening. It towered over our home and with each storm that passed, we wondered if the massive tree would find its way onto our roof. Cutting it down meant cutting away a boatload of beautiful memories with our boys. Pruning. 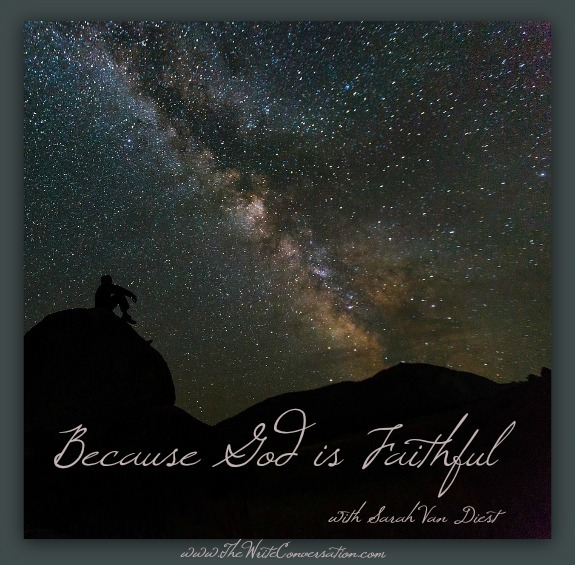 Never underestimate the faithfulness of God. 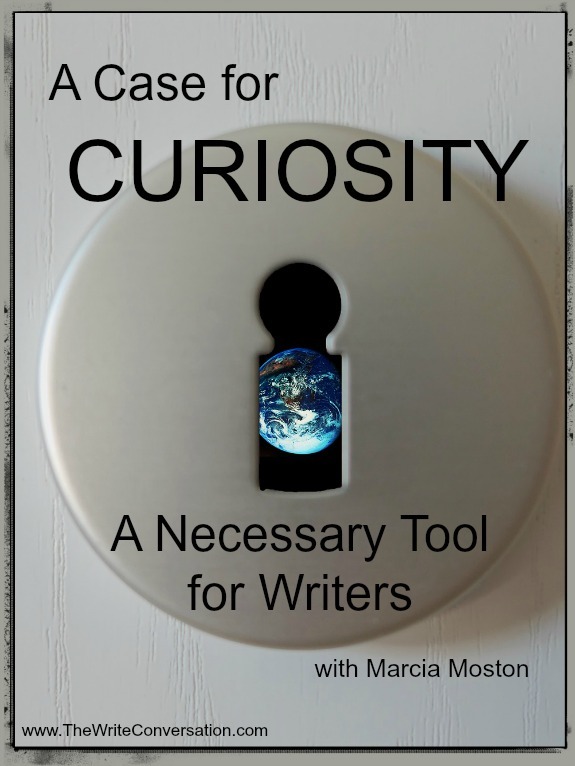 Curiosity is key for successful writers. I’m standing in my backyard in the dark before dawn. It’s 5 A.M. but the little dog that’s visiting us must have a bladder the size of a grape because he can’t wait a minute more to do his business. Actually, I’m happy to be out here because it’s time for the annual August meteor showers. My eyes sweep the northeastern sky, looking for the constellation Perseus. Suddenly a brilliant flash blazes a trail above me, then vanishes. Within minutes, another does the same. Last month, I shared what I learned from the book Grit—The Power of Passion and Perseverance by Dr. Angela Duckworth and how it applies to the writing life. 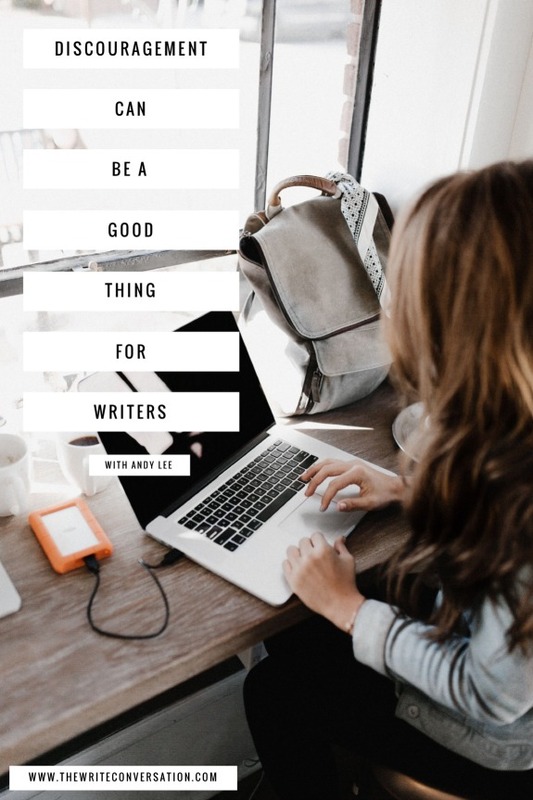 If you haven’t read that one, you might want to pop over there first and read the post, A Book To Help Writers Persevere. I’ll wait. That post was already way too long, so I saved something to share with you this month. In Grit, there are multiple anecdotes about elite swimmers—what makes them so good, what separates the champions from the talented, that kind of thing. Edie here. Today I'm so excited to introduce you to an author I love and admire. Sarah Forgave has a new book of prayers out and it's a resource you won't want to miss. 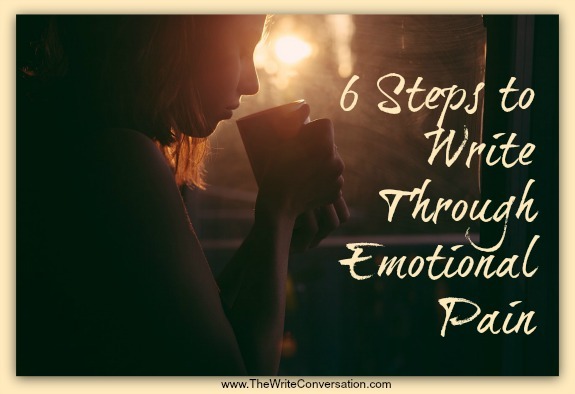 I've convinced her to share a post with us about how to write through emotional pain and I know you'll be blessed by her insight and application. Be sure to give her a warm TWC welcome! This Ernest Hemingway quote is one of the most freeing yet daunting realities for writers. To be successful, we have to be willing to pour everything out, to emote through our stories and non-fiction works so the reader will feel every last drop of joy and sorrow with us. This often means revisiting memories we’d rather forget. When our team is looking through the manuscripts on Swoon Reads for the next books we’re going to publish, we each have a specific thing to which we’re drawn. Some of us are attracted to characters. Other people look for strong worldbuilding. For other people, the manuscript must have great dialogue. For me, voice is my #1 requirement when I’m looking to fall in love with a manuscript. But how do you create voice? Don't miss this important info for bloggers! 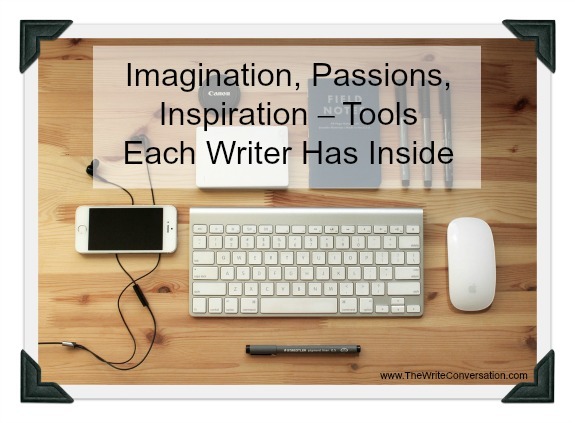 Over the past few months I’ve focused on various aspects of how writers can use Pinterest. 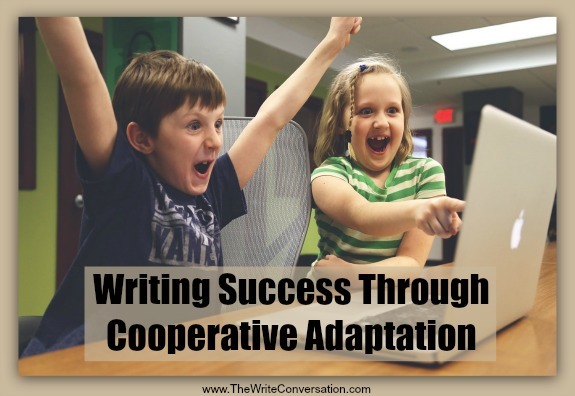 We looked at how to do research, collaborate with other authors, and market your writing. 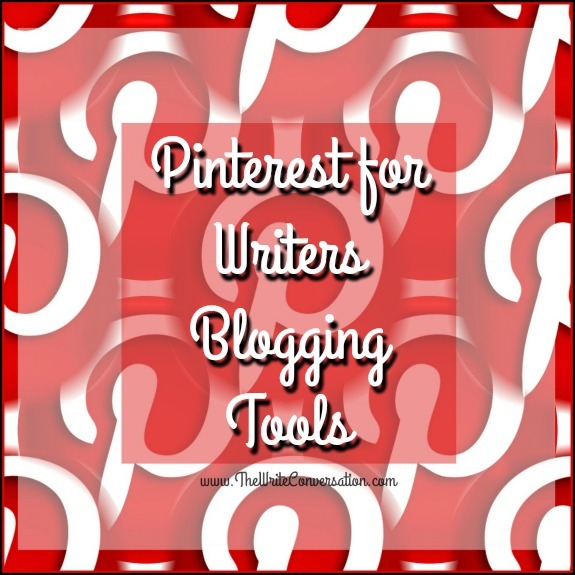 Today we’re going to see why Pinterest is such a valuable tool for bloggers. 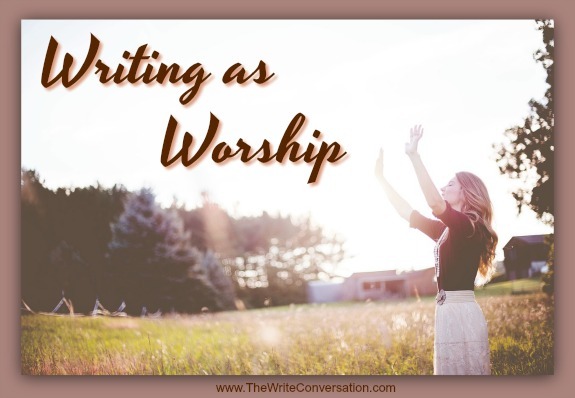 Sometimes when we write, we can feel God's presence and His pleasure. I was deep in, down under, immersed in that sacred place with my words and my God. Copies of a revised manuscript lay strewn across the coffee shop table as I paced and prayed, pausing intermittently to fire off sentences on the keyboard like cannon blasts of praise. Within my soul, inside the most central part of who I am, I knew I was doing exactly what I was created to do. The more I wrote, the more I could feel God’s delight. Immersed in worship, indescribable joy rising, I brought him my gift. I’ve been sharing some resources that writers can find helpful: whether they are books, websites, conferences, etc. There are numerous resources coming out each day.